A couple of channels on YouTube have updated the first user videos of Pioneer's two 2012 line car stereos. Both the videos are demoed by car stereo shops in California. As reported earlier, these models have gone on sale last week as we await the launch of AppRadio 2. The models showcased below are the AVH-P8400BH and AVIC-Z140BH. Take a look below. You can contact these car stereo shops if you live around Southern California. Ok Pioneer, bring on AppRadio 2! Cool stuff! That's a tablet gizmo right? So I guess it takes more apps than just music? Way ho! Do you drop ship in Manchester? Though I'm more practical than showy when it comes to cars, this seems like a fun gadget to add in a car as it doesn't just play regular music, I'm sure this AppRadio has other interesting features too. Nice-looking radio you have here. I wish these become standard-issue--or at least optional add-on--for cars that come on sale. I wonder if that radio can fit in a used car, too. It looks more like it's only made for the newer car models. That is perfect for my newly bought vehicle! 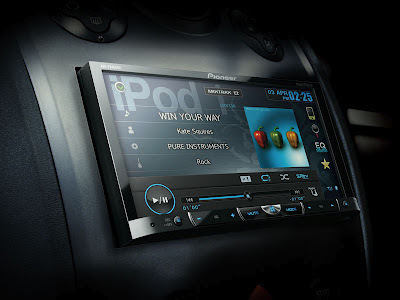 After designing it with car decals, I will be planning to buy that kind of car stereo. Music lovers will love this car. Especially now that the creators enhances it's stereo system, I heard musicians have a special ear for music and harmony. I liked how pioneer made this car stereo setup. It's fairly easy to use and multifunctional too. This has got to be a standard accessory for cars these days. That stereo is awesome! I am interested to buy one because of the demo videos that you showed us. The AVH-P8400BH looks like a real sleek design for a car radio. Does it also have support for non-iPod music players? Like for those car owners who have android smartphones. I will definitely buy this car stereo! This app is great for a drive. I just do wonder if where can I buy this one?.. I liked the 2012 line the moment I got them off the electronics store. They were a real breeze to use with my ipod, and I had no trouble syncing my music between devices, too. The version of new car stereo is amazing. Hoping that this is not that much expensive than others. Maybe sooner I'll try to change my car stereo like this new one.